One may wonder why one would want to invest about a thousand dollars in a ‘big boy’s toy.’ After all, dedicated hobbyists, such as Sanjay Joshi, have analyzed the spectrum of hundreds of lamps and have freely distributed this information. Why invest in a spectrometer? 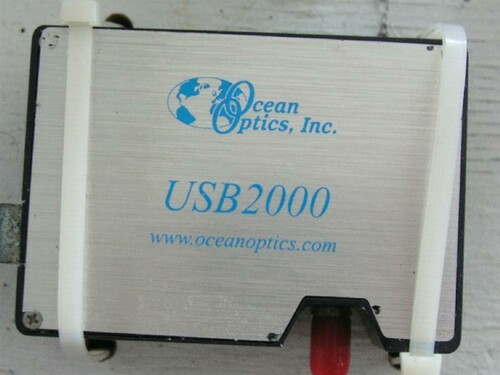 While monitoring spectral quality of lamps is likely the primary goal of most hobbyists, the Ocean Optics spectrometers are capable of doing much more (provided necessary accessories and additional software – all at extra cost – are available). Of these, reflectance, transmittance, absorbance, color analysis, relative irradiance and absolute irradiance are of possible interest. 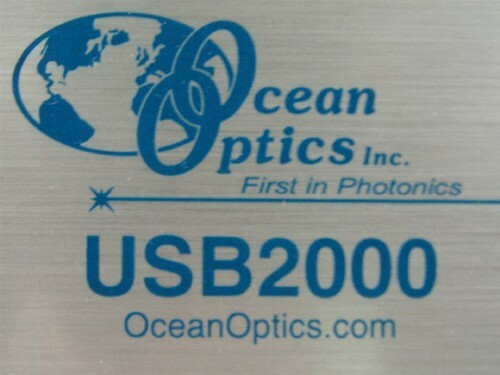 It is not absolutely necessary to use fiber optic patch cords if the goal is simply to measure lamp spectra – one can merely remove the protective cover from the input aperture and point the spectrometer at the light source. However, fiber optic cords do offer advantages in that they can be tightly attached to the aperture (via SMA 905 terminated fiber) thus protecting the internal works of the spectrometer (the thought of a drop of saltwater or debris entering the spec housing is frightening). The fiber optic cords also offer other advantages. While it is apparent that cords are a must for connecting optional accessories, it should be noted that the size (diameter) of the cord is also a critical consideration. Very simply, the larger the diameter of the fiber optic cord, the more light transmitted. This is useful to know if high light intensity ‘saturates’ the CCD array and causes the reported intensity to be above the maximum allowed – Use of a smaller diameter cord could attenuate (‘weaken’) the signal, thus allowing measurement. Fibers are available in the following diameters (in µ): 8 (VIS/NIR only, range of 450 – 1000nm), 50, 100, 200, 300, (for use with UV <250nm) 400, 600 and 1000.